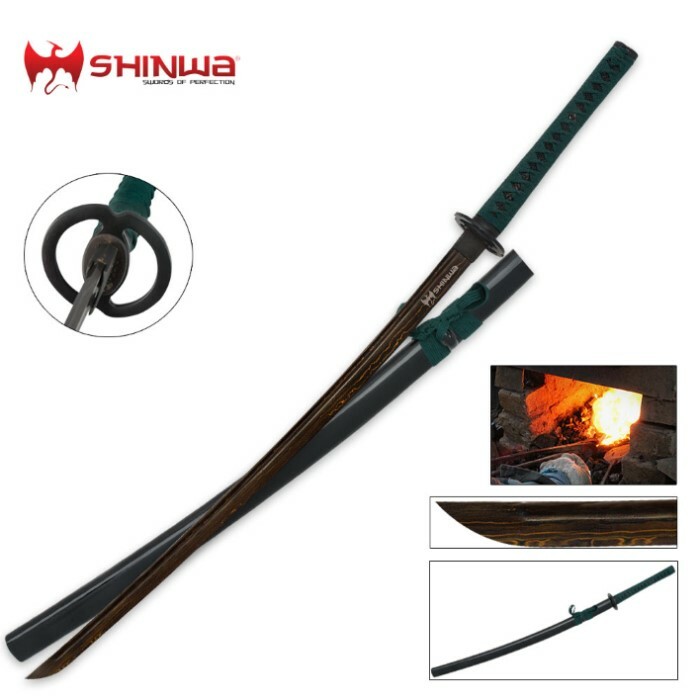 This Green Emperor Katana is the perfect example of what Shinwa swords are known for, combining durability with affordability. 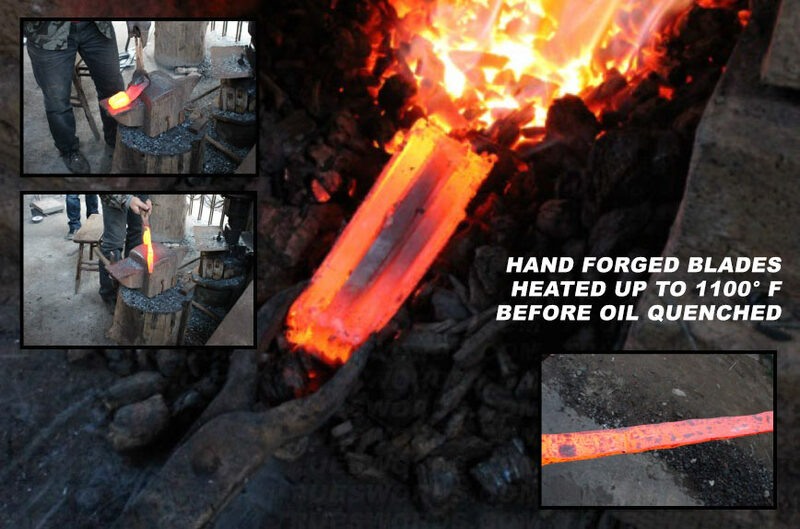 The hand-forged Damascus blade has been heat tempered and folded creating an aesthetically pleasing blade that will surely conquer any tests you through at it. Through the folding process, Shinwa sword smiths create 2000 layers of high performance steel. The intricate carvings and detailed accents give this Katana a polished, one-of-a-kind designer look. 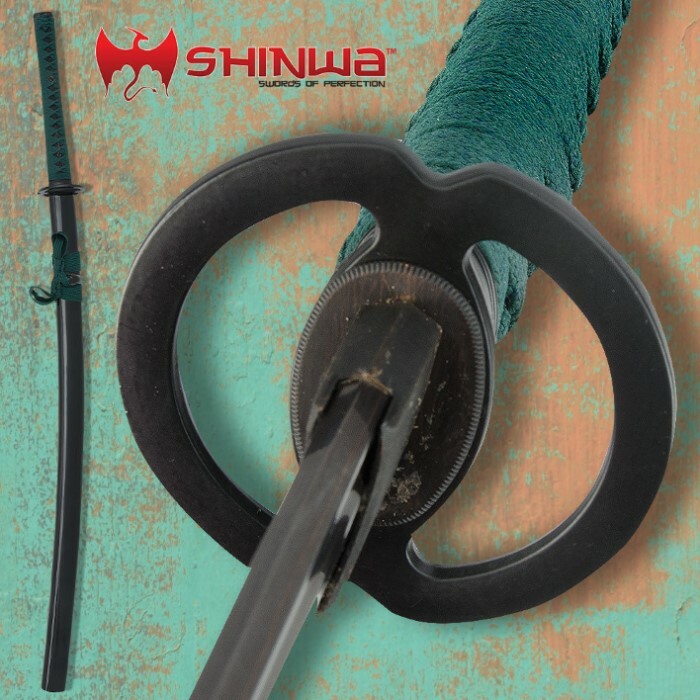 Battle ready and completely handmade by Shinwa sword masters. I got this one and another on a bogo sale, i like the black damascus but the sheath could fit a bit better. overall, Worth the money. Got it today and was excited till I realized it's not sharp at all. Everything else about the sword is beautiful but my main concern was it being sharp where it disappointed me. Very well balanced if you practice Iaido. Arived sharp.... A little working and they were razor sharp, I ordered 2 of them... if youre going to go two handed... be prepared for the extra weight.., this is a great one to order... Once again trueswords fails to disappoint. You want a sword? Trueswords has provided this nice piece of Damascus steel whose edge is extra sharp and blade's looks is as if it was cooled with a non-flammable petrol oil. The sheath is the right size making it nice and snug to pull the sword out that once you do that, you'll open a nice fragrance of a Cherry wood on a wet morning spring. Want a good sword? Get this one, it's worth it. Thank TS.